COCKRILL Philip Liberia. 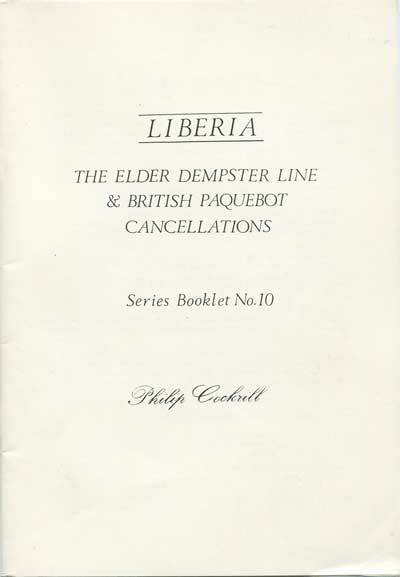 - The Elder Dempster Line and British Paquebot Cancellations. 32pp. 1st ed. clean in original card covers. C.F. WILHELM JANTZEN Monrovia. 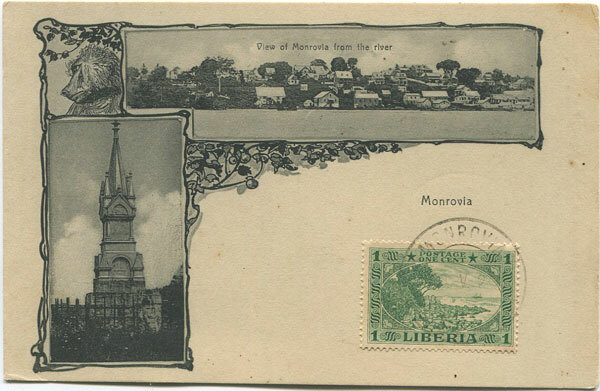 Early Gruss Aus type postcard dated 1905 but used in 1924 with 1c however unaddressed. Fine.